Female length: 8 to 20 mm, Male length 7 to 15 mm. This millipede is usually shiny black with pale edges to each tergite. Like the Pill Woodlouse, it can curl up into a pea-like ball if threatened, but not a complete sphere like the Pill Woodlouse. 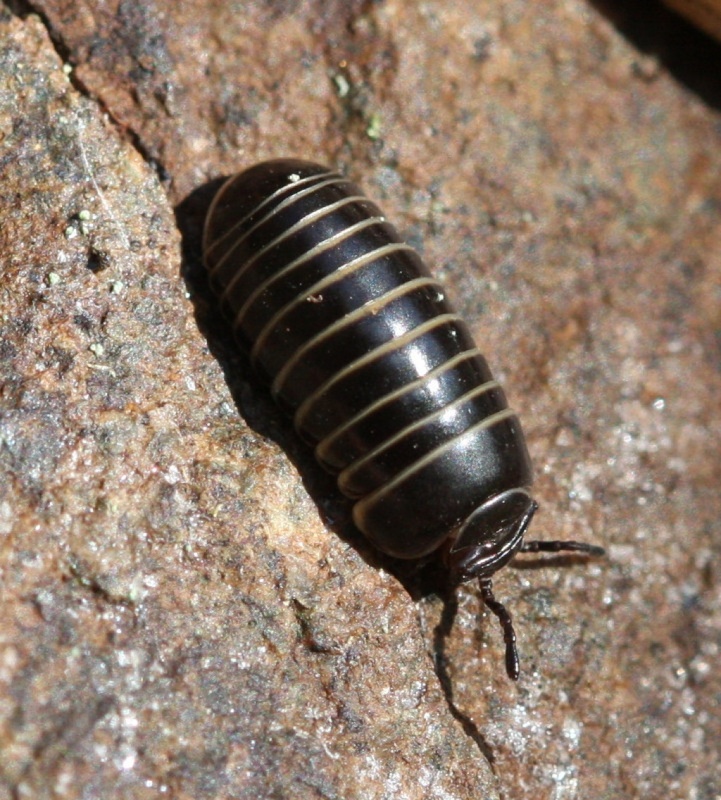 It is similar in appearance to the Pill Woodlouse but has two legs per segment. The Pill Woodlouse is similar but only has one pair of legs per segment. The Pill Millipede has one large termninal tergite rather than the several seen in the Pill Woodlouse. Seems to prefer calcareous soils, and can be found amongst leaf litter in woodlands, fields and hedgerows. It also shows a preference for humid areas, such as below logs and stones. This species feeds on dead organic matter; it tends to be active mainly at night. Although widespread and common in Britain, this millipede has not been recorded further north than Edinburgh.